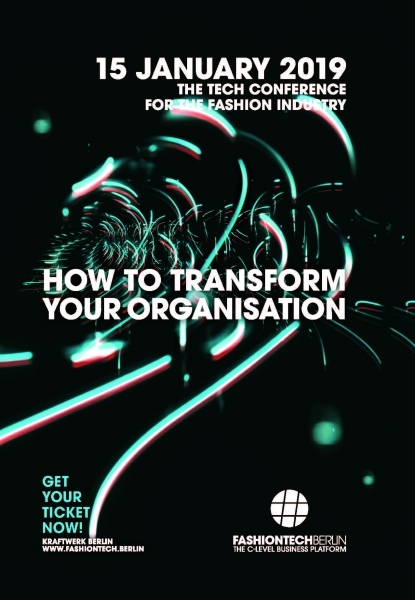 #FASHIONTECH – the conference on the future of fashion, that was founded in January 2015 by the PREMIUM GROUP, connects fashion with the tech, creative and start-up industries, covering all aspects of digital transformation, innovation and disruptive technologies. Twice a year, global players, industry insiders, communications experts, designers, start-ups and politics gather to discuss developments, potentials and new approaches as well as generate new business and foster exchange. In January 2018 the PREMIUM GROUP brought Messe Frankfurt on board as a partner. While #FASHIONTECH focuses on Digital Marketing & Communications and E-Commerce & Retail Tech, Messe Frankfurt covers the topics Tech Textiles and Sustainability. Over the course of the past editions, top-notch speakers, industry leaders and innovative start-ups have shared their expertise, presented best cases and launched new products and concepts in three categories. LISTEN! Best Cases on Stage - LEARN! Knowledge transfer in Masterclasses - EXOPERIENCE! Presentation of the latest developments and business solutions. The Conference on the future of Fashion.